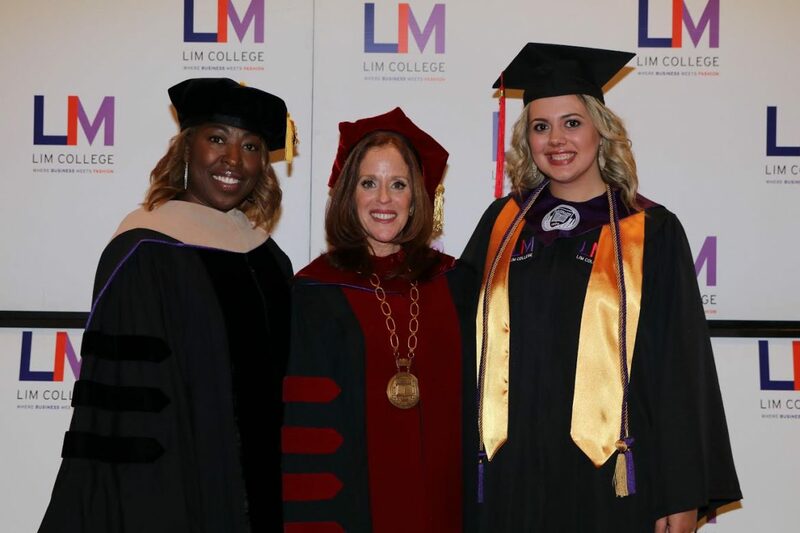 Shawn R. Outler, executive vice president of Macy’s Inc. and advisory board member at LIM, commanded the class of 2018’s attention with her wise words last Thursday at Carnegie Hall during LIM’s 79th commencement. Aside from holding the title of Vice President at Macy’s, Outler also advises partner businesses, food services, multicultural initiatives, and even runs “The Workshop at Macy’s,” a program specifically designed to give minority and women-owned business owners the tools and experience they need to be successful in the fashion industry. Through her experiences, Outler has learned the ins and outs of the fashion business. She presented three challenges to the industry’s future leaders during her speech. Outler also provided advice to the graduates which will serve to benefit them in their future endeavors as they move on from college students to real-world professionals. “Today, more than ever, we need to develop meaningful connections with individuals from varied cultures, backgrounds and generations,” Outler said. After graduating from Syracuse University, Outler thought she was done with working in retail and ready for the real world as an authentic buyer. However, an offer from the Abraham and Strauss Executive Training Program prevented her from doing so, as she was forced into stores in order to complete the program. At the same time, Outler was told by a supervisor that she wouldn’t make it. After 6 years of hard work, dedication, and refusing to take no for an answer, Outler became an assistant in a buyer’s office.